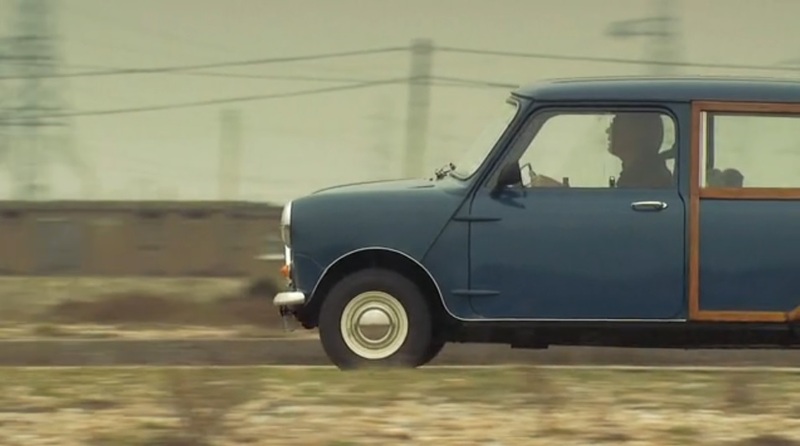 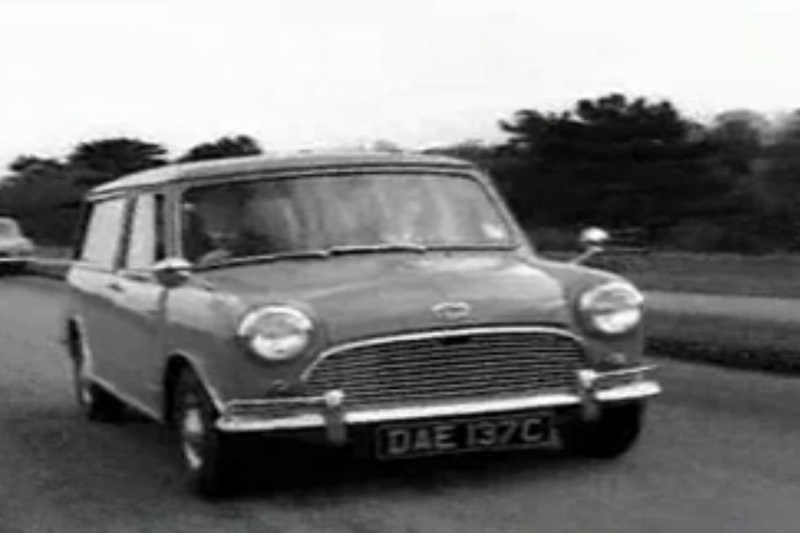 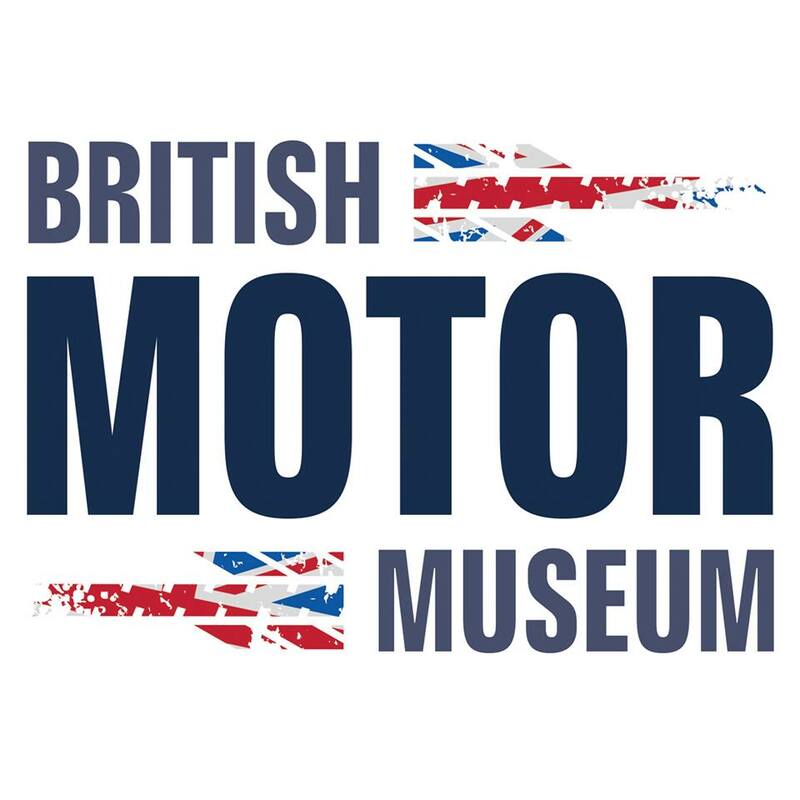 We're trying to build up a list of films featuring Traveller and Countryman cars. 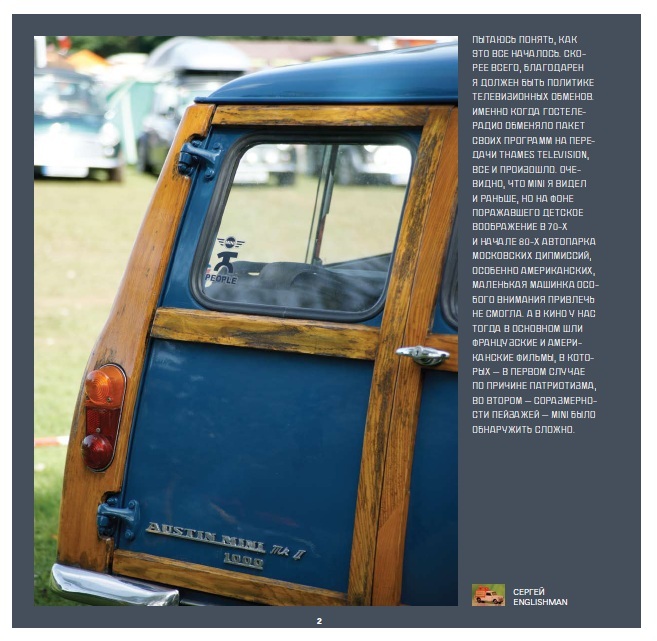 Click on the photos to view the films. 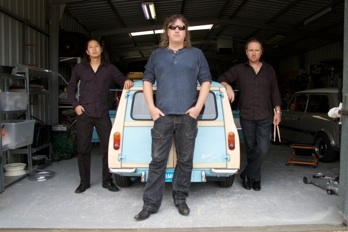 the cover of their latest single and in their video. 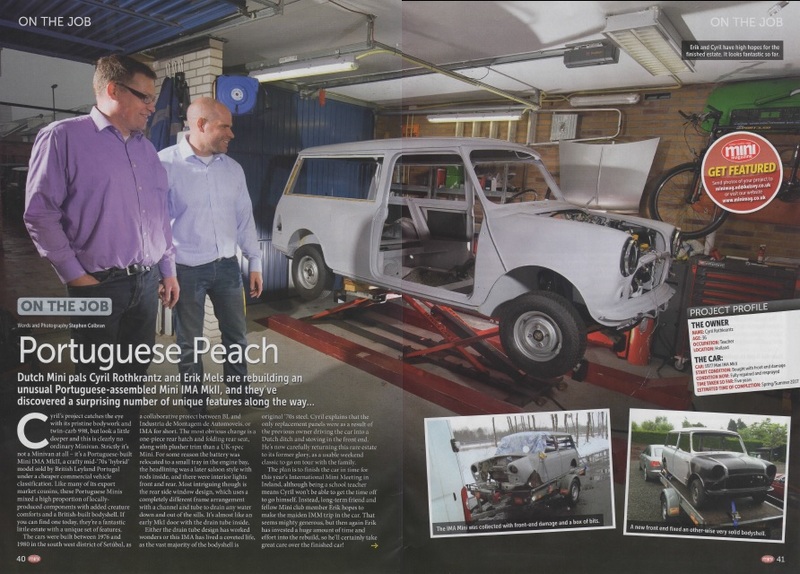 In February 2017 Mini Magazine featured this IMA being rebuilt by Cyril and his good friend Erik. 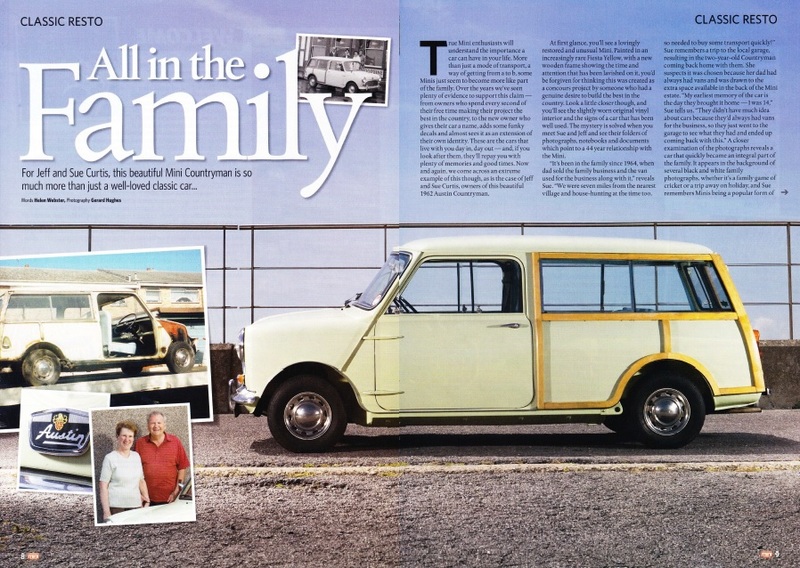 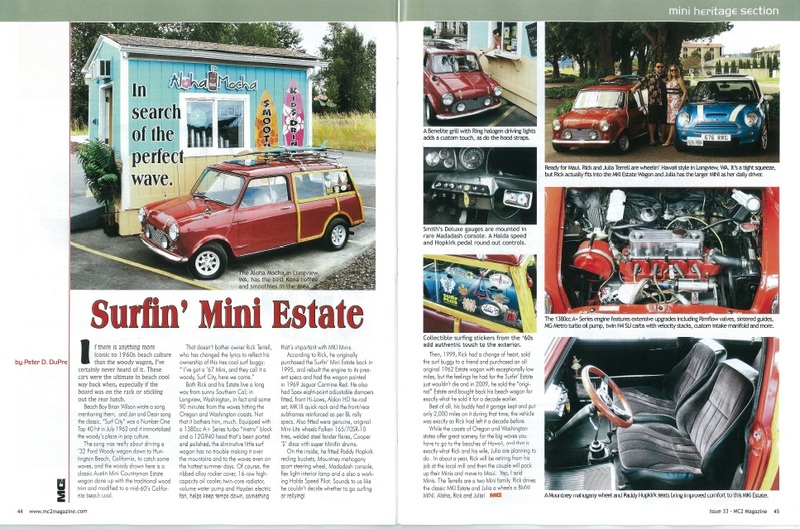 Great feature in the January 2016 edition of Mini Magazine comparing Richard's internal tank Mk1, Bob & Marion's Mk2 with Tanya's Clubman Estate. 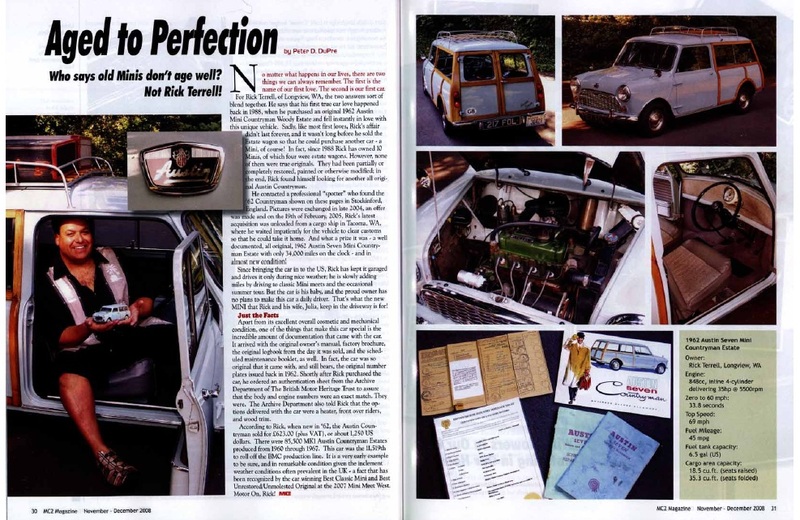 Practical Classics ran this article on Vic Young's restoration in their January 2016 issue. 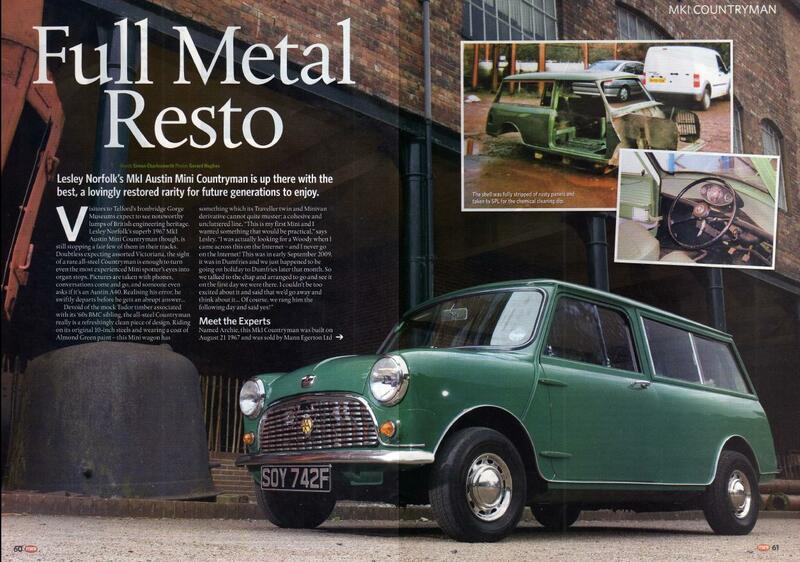 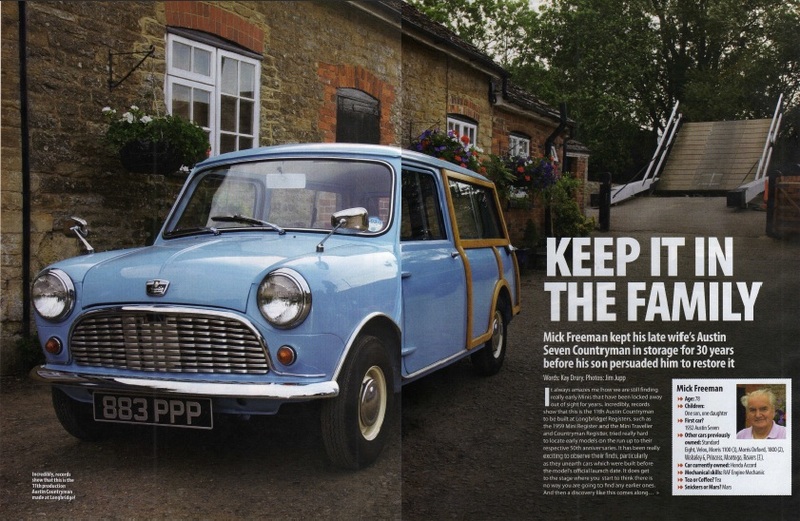 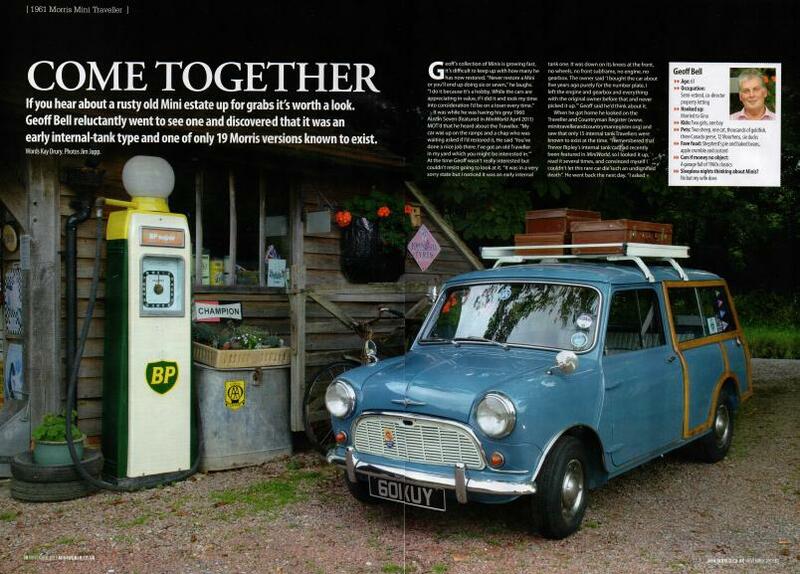 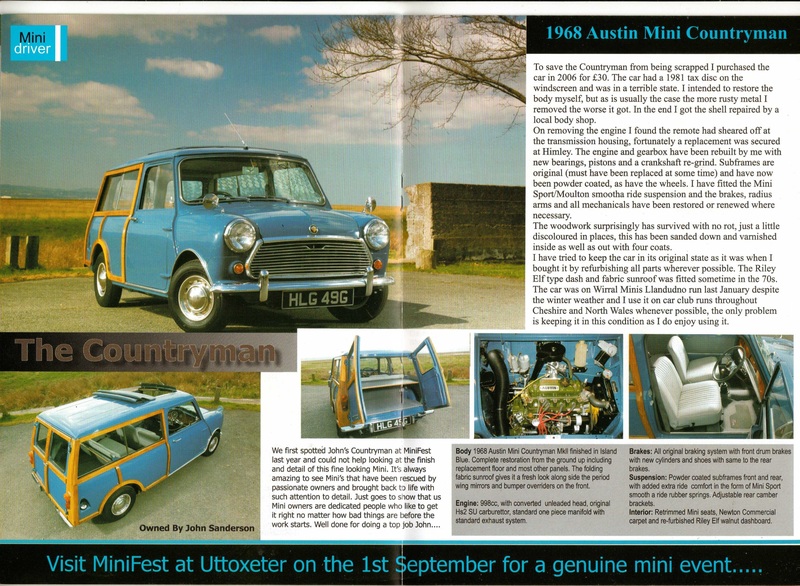 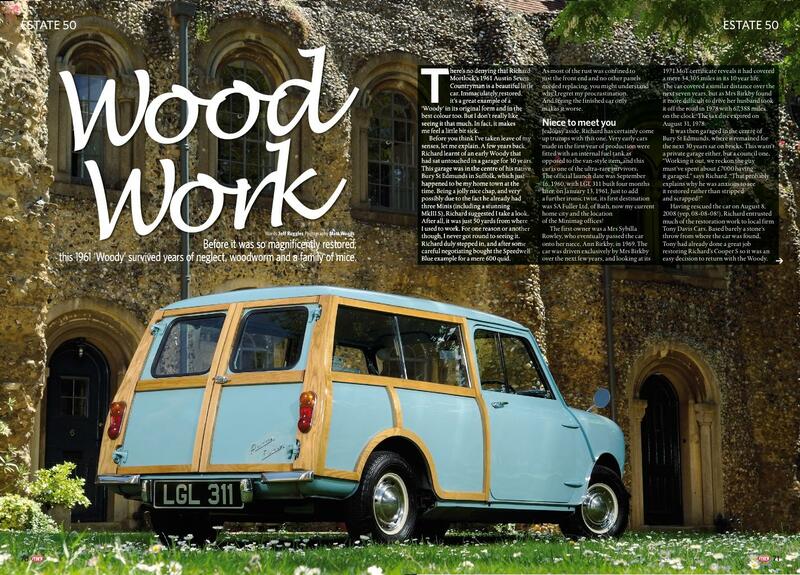 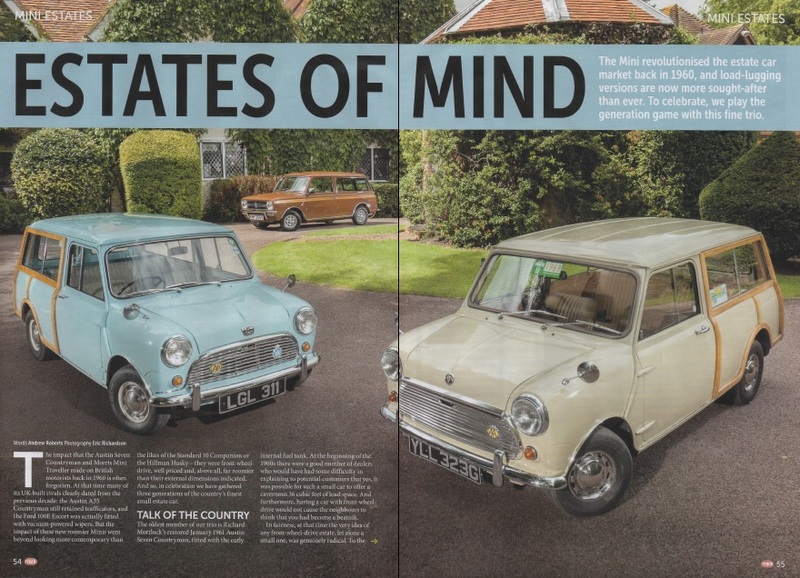 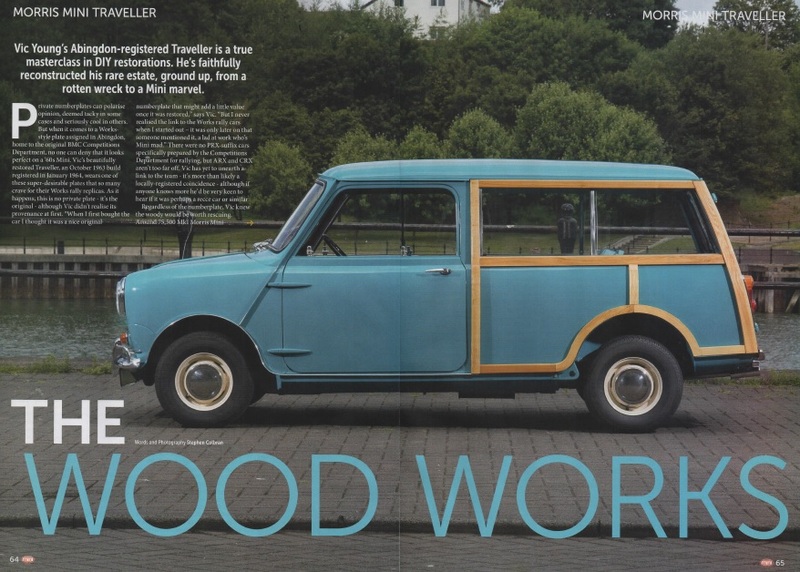 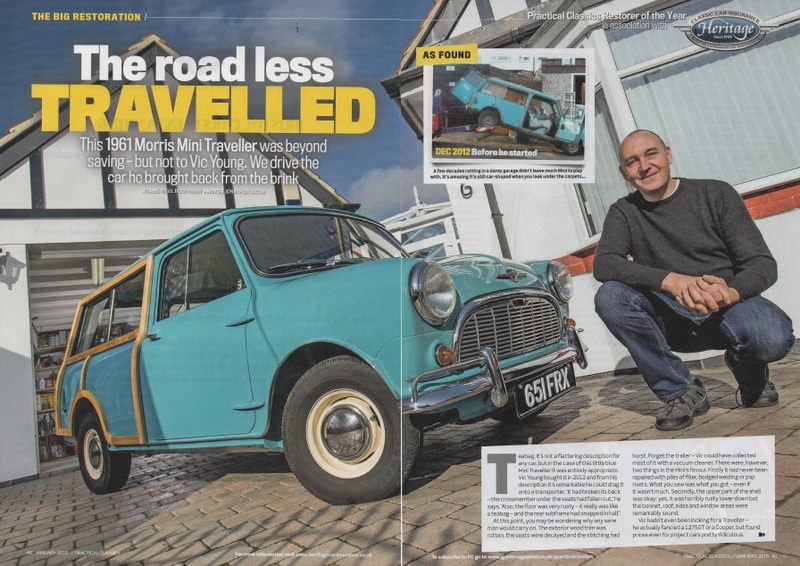 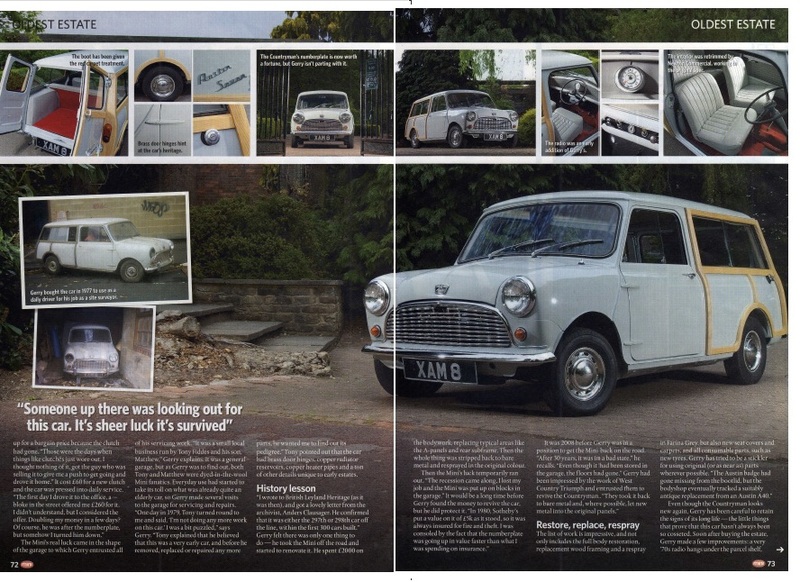 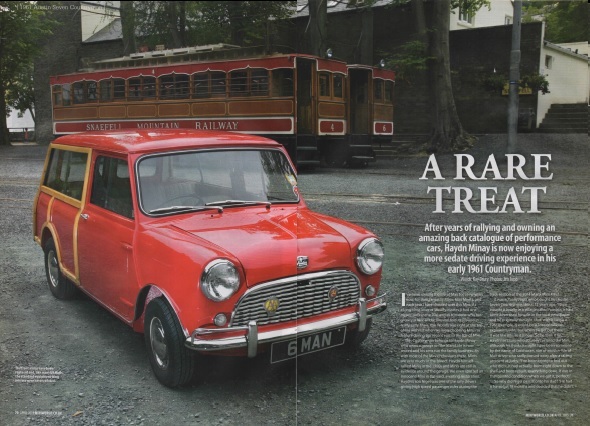 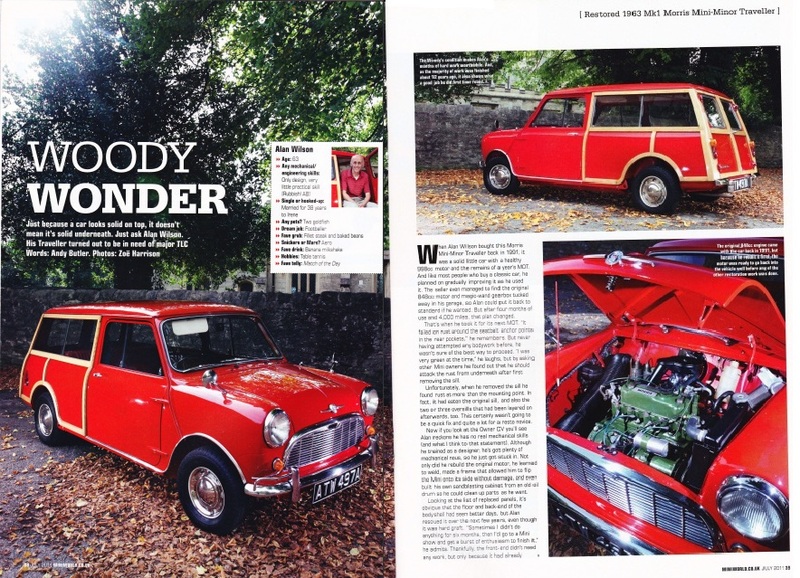 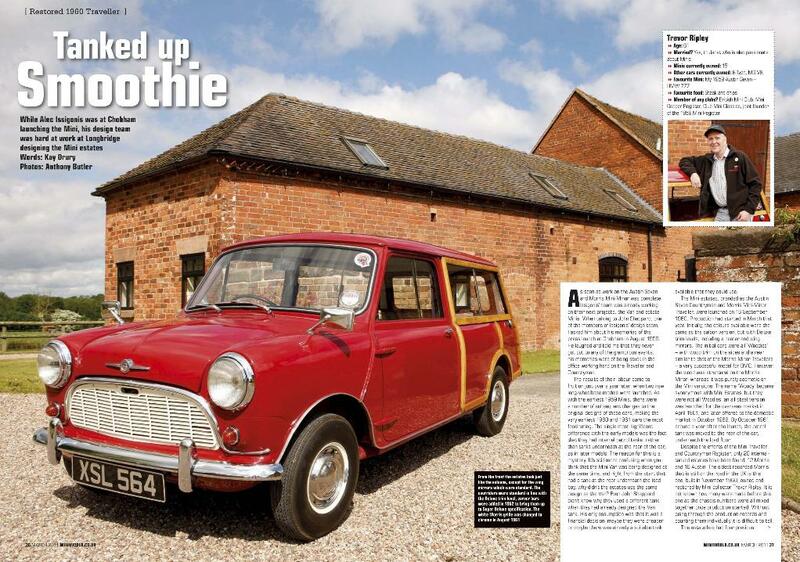 Vic's car also featured in the December 2015 edition of Mini Magazine. 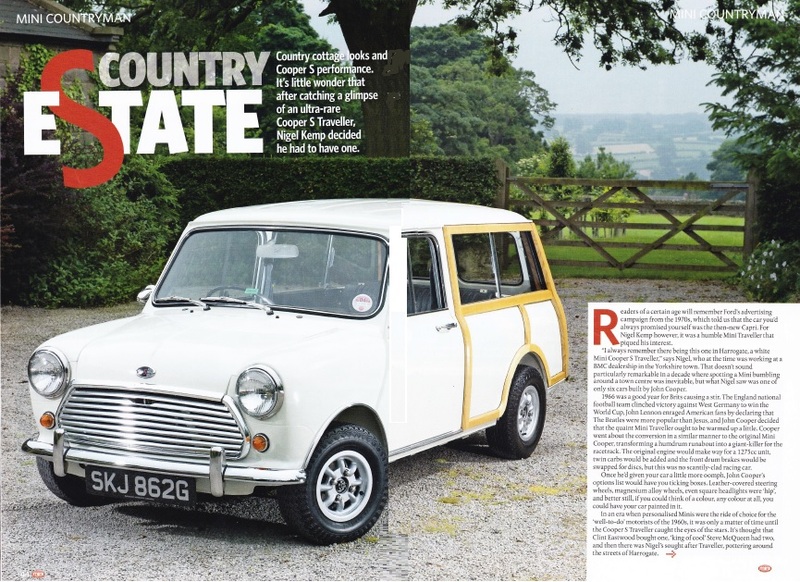 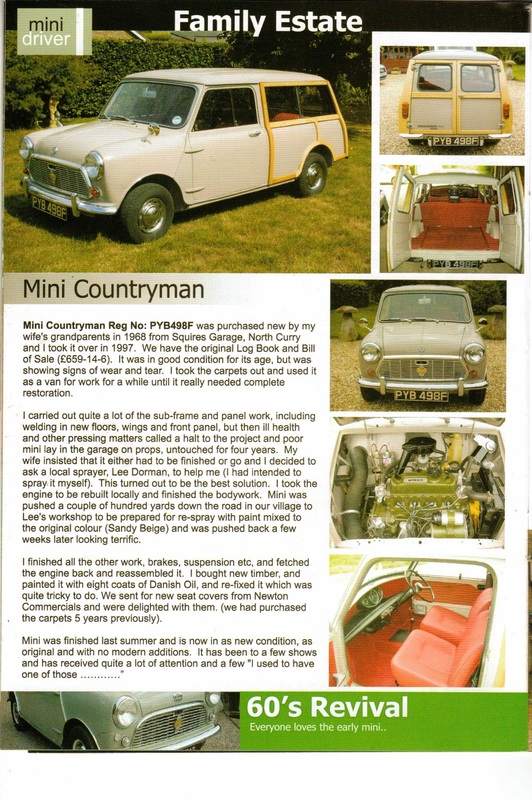 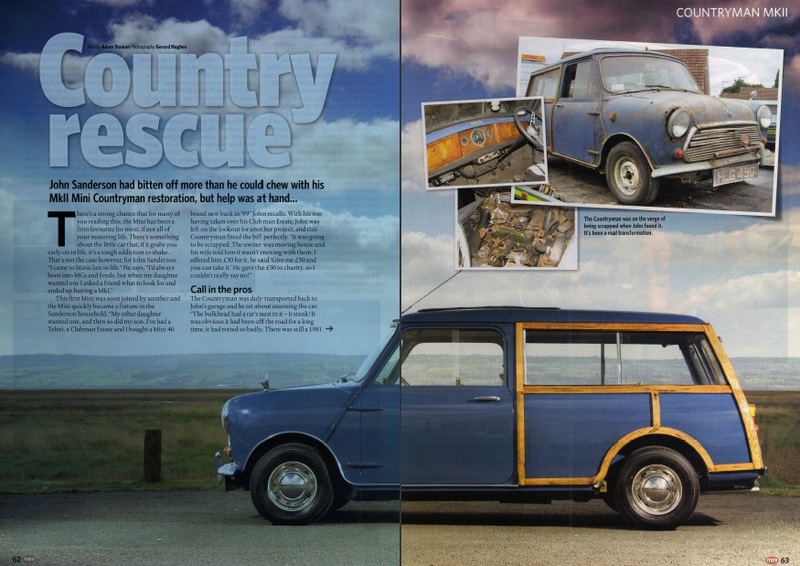 Interesting article about Haydn's internal tank Countryman in the April 2015 issue of Mini World. 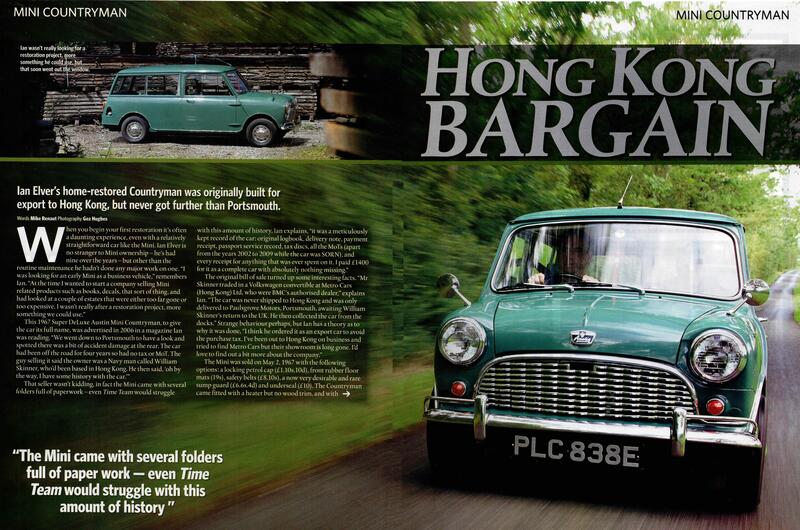 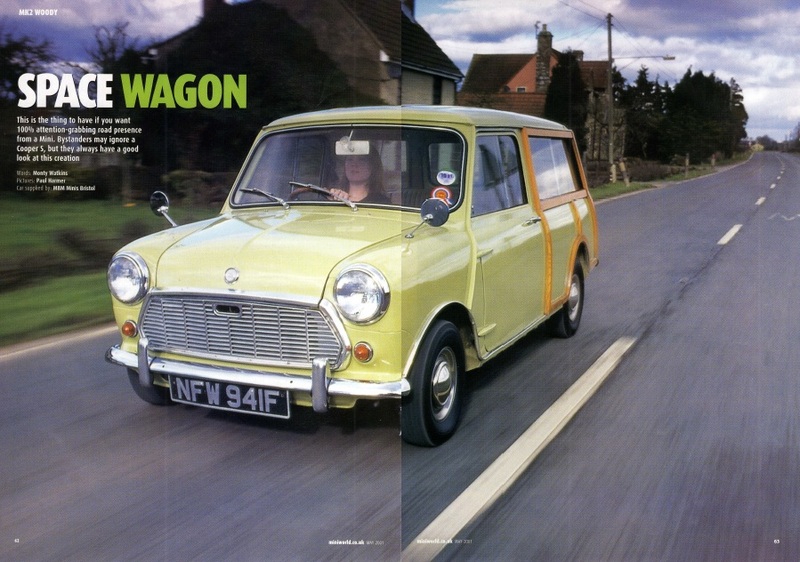 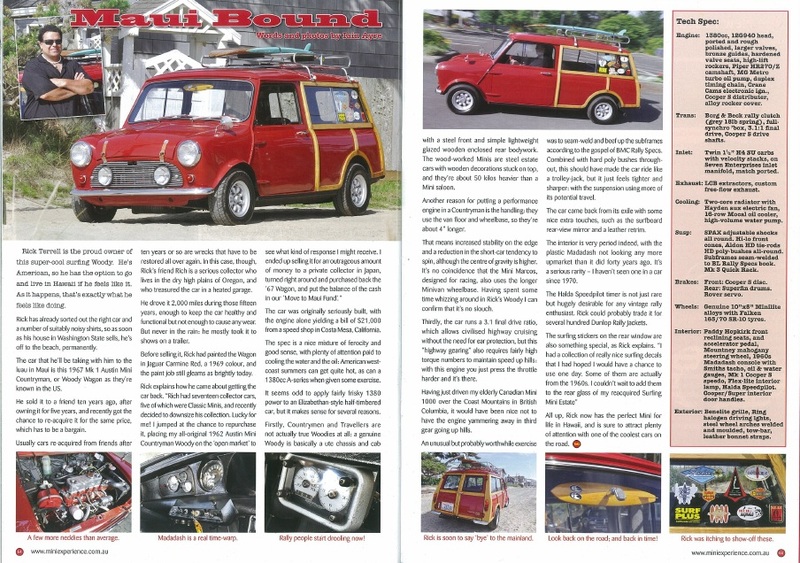 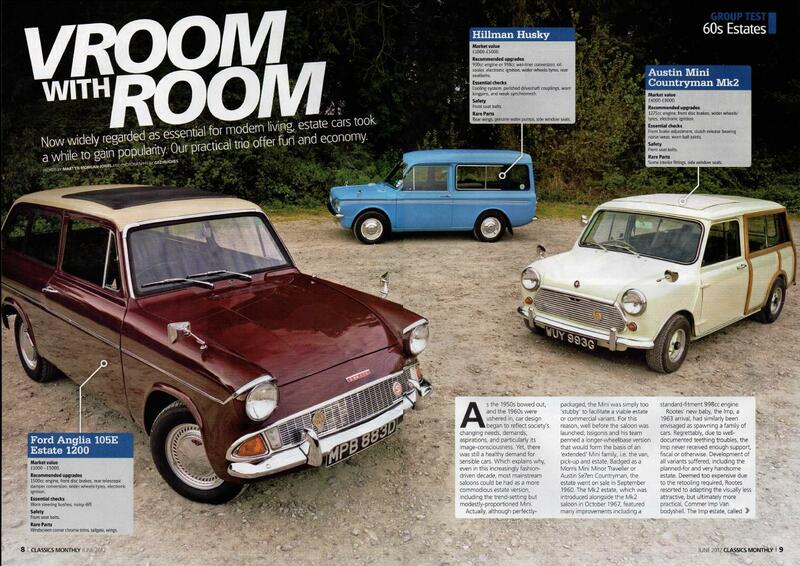 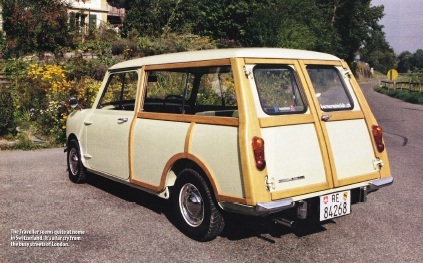 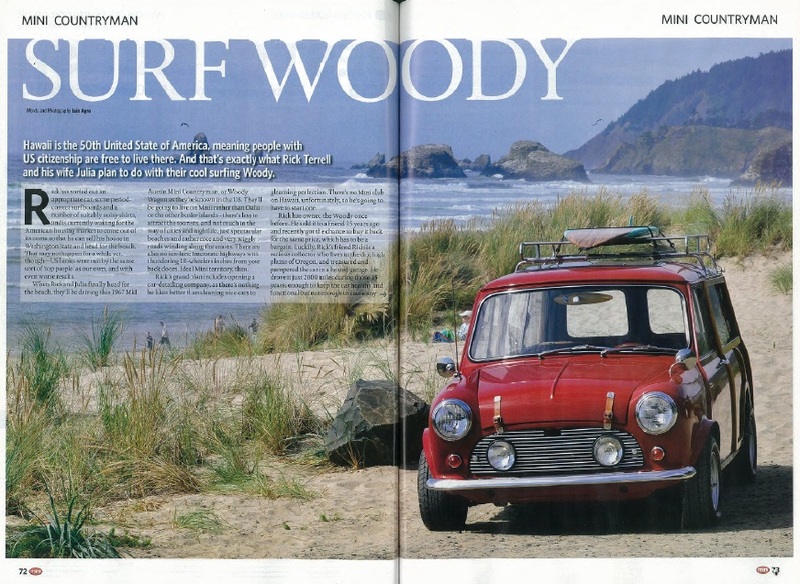 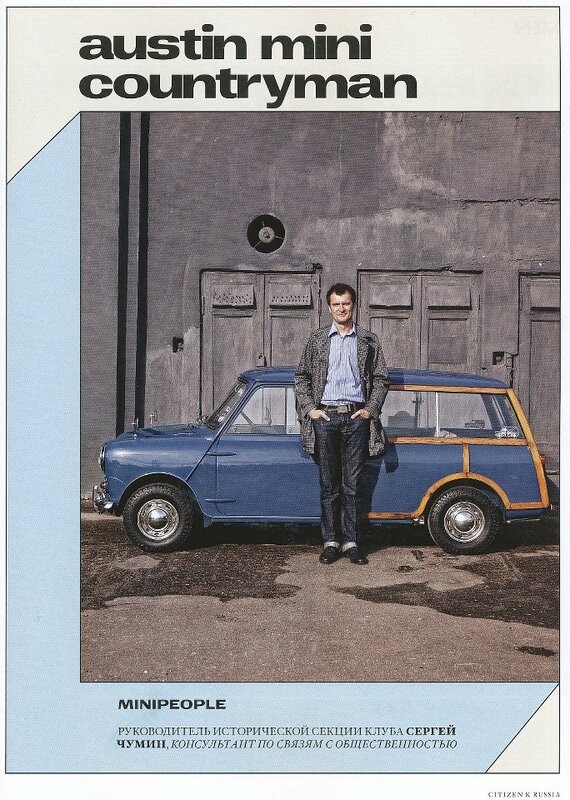 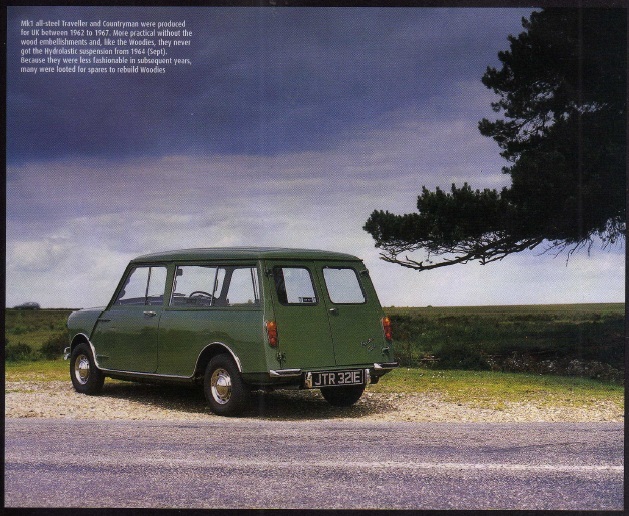 In August 2014 issue 6 of Original Mini in Japan put special emphasis on the long wheelbase Minis. 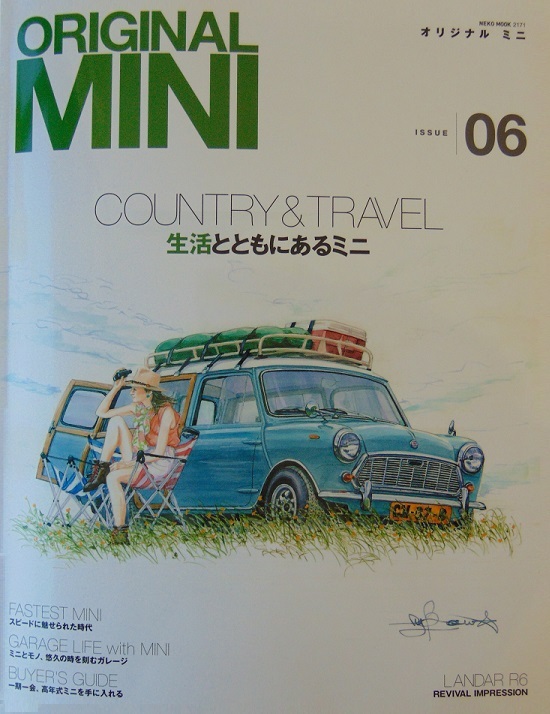 Thank you to Kazui Tanaka for sending us a copy of this beautiful magazine. 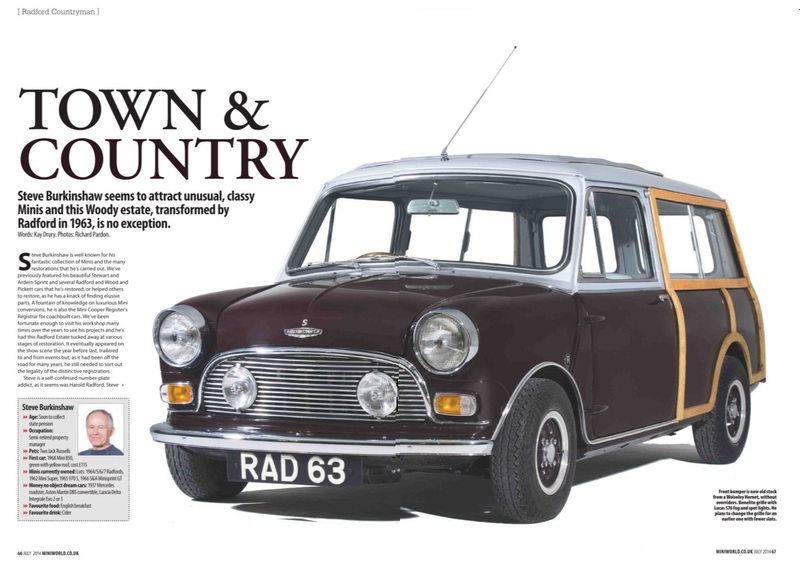 Featuring an export Countryman that never made it out of the UK! 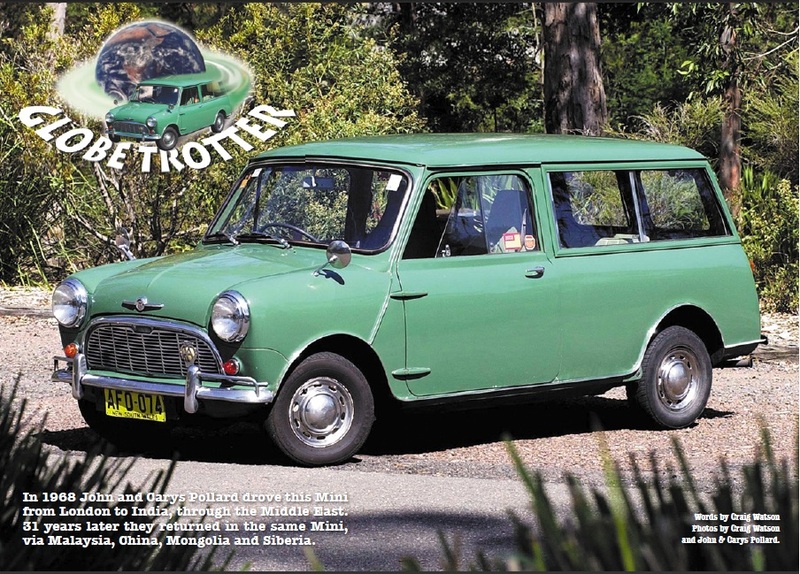 The MiniWorld team take Janet's Mk2 Traveller for a drive.